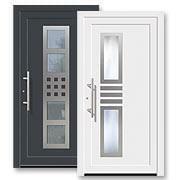 The history of window making and of early window fabrication goes back several hundred years. The first more complex windows could already be found in Europe during the late Middle Ages. At this time windows were made using lead. This type of window was very difficult to produce and was mainly used in the great cathedrals. The use of lead windows is one of the main characteristics of the gothic style of architecture. At this time windows were not yet produced in a factory, but were made individually by hand each pane being unique. It was this that caused this type of window to be affordable only to the upper classes. Only towards the end of the Middle Ages were more humble buildings also fitted out with window glass. Over the years the time-consuming production of lead window glass gave way to the blown glass technique of glass making. This type of window glass, too, was first produced in a complicated manual process. Just over 100 years ago this style of window manufacture was replaced by machine made glass techniques. In 1904 it was Émile Fourcault who developed the process now named after him - the Fourcault-process. With the aid of this technique one was now able to produce flat glass on an industrial scale. So it was that in 1914 the first industrial flat glass was manufactured thus laying the foundation for the establishment of many other window manufacturing companies. Then, fifty years later, a British inventor developed the Float-Process, which is still the technique used to this day. Using this system it was possible to produce flawless flat glass quickly and easily. 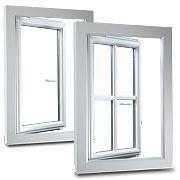 Subsequently there was no stopping window production and window-making factories became more modern and ever larger. The first window-making factories produced windows with single glazing and with wooden frames. Today's window manufacturing has developed on all fronts. This refers not only to the glazing, but also the frames. At the forefront of this development is that of the PVC window production, which is equipped with the best standards and stands for the highest quality. Today PVC -windows are manufactured using fully automatic machinery employing modern adhesive technology and hence achieving the best quality standards. However, it is not only in the realms of PVC research and technology that have changed drastically, there have also been decisive improvements in the manufacture of wood windows. These windows too are manufactured today using the most modern technical processes thereby ensuring the best quality standards. Modern windows, regardless of the material used for the window frame, can be individually styled today. The customer can choose any colour of frame from the extensive RAL assortment according to his or her own individual taste and can choose the appropriate shape of window required. Hence the modern window contributes more expression and helps to shape the external facade of the house. These window designs too are produced using the most modern technical methods thereby ensuring the highest quality standards. 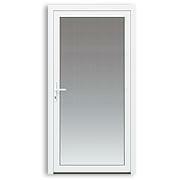 Modern windows today, regardless of the actual material used in their manufacture, can be designed individually. Every customer has the opportunity to choose from the extensive RAL colour range and the various window styles to produce the window of their choice according to their own personal taste. Hence the modern window achieves more expression and considerably helps to style the appearance of the house facade.